Jan 17, 2019 Posted by AAfterwit on Jan 17, 2019 | Comments Off on Masterpiece Cakeshop Back In The News. Masterpiece Cakeshop Back In The News. You may remember the case Masterpiece Cakeshop, Ltd. v. Colorado Civil Rights Commission which was decided by the US Supreme Court last year. 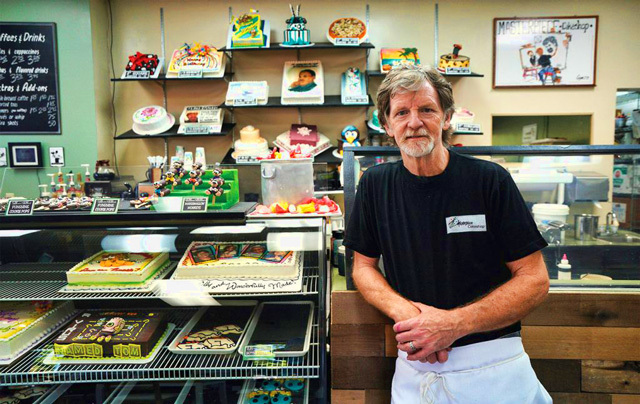 The case was about Masterpiece Cakeshop in Colorado and it’s owner, Jack Phillips. In 2012, a gay couple came into the shop and wanted a specialized cake made for their wedding. Parker, who is a Christian, declined to design and make the cake on religious grounds, mainly that he did not want to be creating something that would be used to promote an idea that was against his religious beliefs. The two men filed a complaint with the Colorado Civil Rights Commission saying Parker had violated their civil rights. The Commission ruled against Phillips and demanded that he and his staff undergo training on the issue and for the next two years write reports that would be reviewed by the Commission on the cakes he sold. Phillips appealed the decision and the case eventually made it to the Supreme Court which ruled against the Commission but did not endorse Parker’s assertion that he had the right to deny the artistic creation of a cake if it endorsed a message that was against his religious beliefs. The Supreme Court noted that at the time, Colorado did not recognize gay marriages. The second thing the Court noted was that someone named “William Jack” had gone to three different bakeries and asked the bakeries to make a cake with a message that demeaned gay marriages. In each case, the Commission upheld the rights of the bakers not to make the cakes which contained messages with which they disagreed. One commissioner suggested that Phillips can believe “what he wants to believe,” but cannot act on his religious beliefs “if he decides to do business in the state.” A few moments later, the commissioner restated the same position: “[I]f a businessman wants to do business in the state and he’s got an issue with the — the law’s impacting his personal belief system, he needs to look at being able to compromise.” Standing alone, these statements are susceptible of different interpretations. On the one hand, they might mean simply that a business cannot refuse to provide services based on sexual orientation, regardless of the proprietor’s personal views. On the other hand, they might be seen as inappropriate and dismissive comments showing lack of due consideration for Phillips’ free exercise rights and the dilemma he faced. In view of the comments that followed, the latter seems the more likely. The same day that the Supreme Court agreed to hear the original case, Autumn Scardina, who is a transgendered female attorney contacted Masterpiece Cakeshop to have them design and make a cake celebrating the 7th year anniversary of Scadina’s transition. Phillips declined on the same religious grounds. “would not create a custom cake that expresses those messages for any customer, no matter the customer’s protected characteristics.” Masterpiece offered to create a different custom cake for Scardina or to sell her any of the pre-made items available for purchase. Scardina did not request a different custom cake and did not attempt to purchase any of the pre-made items. Scardina filed a complaint with the Colorado Civil Rights Commission which later decided that there was enough cause to hold a hearing on February 1, 2019 on this complaint which basically stated that Phillips had denied Scardina a cake based upon Scardina’s sexual orientation. Phillips wasn’t going to wait. He turned the tables on the Commission and sued them. The Alliance Defending Freedom is representing Phillips. 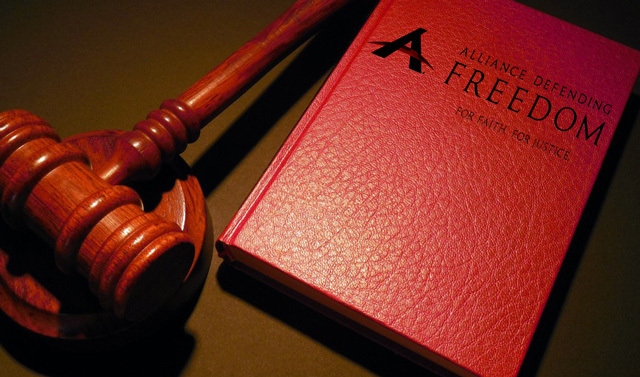 The Commission sought to have the case dismissed on various grounds. This is certainly the first step in a push-back against those who would demand that people act against their religious and moral beliefs and create works against those beliefs. Time will tell the outcome of this, and given the history of the first case, would not be surprised if it went to the Supreme Court as well.